Raising glutathione levels in the cells has been a challenge. Glutathione can be put into a supplement, but it’s difficult to get it through the intestines into the bloodstream. Once in the bloodstream, it’s difficult to get supplemental GSH into the cells as degradation occurs in the bloodstream. Studies showed taking supplemental GSH does not raise blood levels. Thus oral supplements were deemed to assist in the gastrointestinal tract; perhaps some help in the blood, but not enter the cells where it’s needed. Intravenous GSH administration became the most effective way to push GSH into the cells. Recently, a new form of GSH became available—one that demonstrates it can be absorbed through the G.I. tract and survive degradation in the bloodstream, cross cell membranes and thus favorably impact the cells, as well as help prevent cancer. It is acetyl-glutathione featured in Systemic Formulas’ GCEL. S-Acetyl Glutathione is an alternative frm of the reduced GSH. Several studies have shown that this precursor of GSH is well absorbed and more stable throughout the digestive tract than the reduced L-glutathione and has a positive effect on many oxidative stress bio-markers. S-Acetyl Glutathione enters the cell directly and once inside the cell it is converted to GSH by the cytoplasmic thioesterases that remove the acetyl group thus rapidly raising Intracellular GSH levels. Because of GSH ability to promote detoxification from within the cells, its supplementation can flood the detox pathways and cause large amounts to enter the small intestines via gall bladder excretion via the bile. To prevent resorption from the intestines, practitioners utilize BIND (Toxin Elimination), a superactived charcoal, to absorb and bind toxins so they cannot be resorbed. 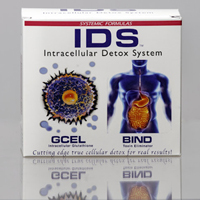 Together GCEL and BIND assist the body in “removing the cause” of inflammation, hormone resistance, cell membrane damage, and errant cell metabolic processes. NOTE: In clinical practice, detoxification proponents often employ the 60 Day Systemic Detoxification Program to help the body clear out the interfering toxin backlog, improve liver function, open detoxification pathways, and impact cellular metabolism with protective antioxidants. Then boosting GSH to drive the detoxification effort into the cellular processes offers the body an amazing opportunity to rejuvenate its cellular functions from which a more optimal health can be restored. 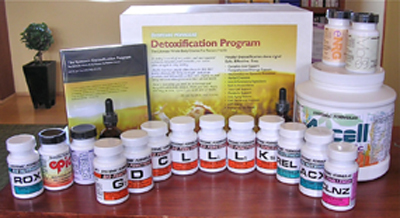 Systemic’s Intracellular Detoxification program provides state of the art true cellular detoxification support that serves the brain, cells, and innate healing processes.